The journal Nature published an outstanding piece on one of the most serious problems in scientific research today: a great deal of research is so flawed that it cannot be reproduced. It’s a problem that strikes at the heart of science, since the gold standard for establishing the truth of research results is that other scientists using the same methods will find the same results. Irreproducible research is research that is worthless; it proves nothing and often misleads. How scientists fool themselves – and how they can stop by Regina Nuzzo offers a comprehensive explanation of why so much of today’s research is not reproducible: simply put, scientists have a great personal stake in the outcome of research, and this personal bias leads to shoddy science. The bias is simple, pervasive and distorts a great deal of breastfeeding research. This personal bias differs in important ways from classic financial conflicts of interest. No money changes hands; there is no quid pro quo, and there are no university or journal rules to protect against such personal bias. Indeed, the researchers themselves are often unaware of the bias because is subconcious. Breastfeeding research, though not mentioned in the piece, is a classic example of the personal bias that renders much of the reasearch in the field misleading and deceptive. Breastfeeding reseachers believe deeply and fervently that breastfeeding, being natural, must be better than any substitutes. Therefore, they slice and dice the data until it supports their bias. They fall prey to the errors that Nuzzo describes in her piece. This probably the most serious problem in breastfeeding research and distorts most of the existing research that claims to show important health benefits. The conclusions are predetermined and the data are arranged to support the conclusion. Critically, the researchers fail to consider alternative explanations for observed outcomes. In the case of breastfeeding research, it is typically manifested as a failure to correct for confounding variables. We know that women who choose to breastfeed exclusively differ in important ways from women who do not. Any “benefits” of breastfeeding may reflect those differences, not breastfeeding itself. For example, women who choose to breastfeed exclusively are, on average, wealthier, better educated, and have better access to health insurance. Each of these three variables have been shown to lead to improved health outcomes for their children. The alternative explanation for most of the research that purports to show major health benefits of breastfeeding is that those benefits aren’t caused by breastfeeding, but are the inevitable result of the relatively privileged status of the mothers. Seizing on random patterns in the data and mistaking them for interesting findings. In 2012, a study of more than 2,000 US psychologists suggested how common p-hacking is. Half had selectively reported only studies that ‘worked’, 58% had peeked at the results and then decided whether to collect more data, 43% had decided to throw out data only after checking its impact on the p-value and 35% had reported unexpected findings as having been predicted from the start, a practice that psychologist Norbert Kerr of Michigan State University in East Lansing has called HARKing, or hypothesizing after results are known. In the case of breastfeeding studies, researchers often analyze large datasets looking at multiple outcomes. Then they pick the outcomes that have statistically significant differences and announce them as “findings” without acknowledging that any large dataset looking at multiple outcomes is bound to have random statistically significant differences that are coincidental and don’t represent real outcomes. This happens all the time in breastfeeding research and especially in its analysis. Professional breastfeeding advocates report findings on the benefits of breastfeeding without analyzing the data. In contrast, when a study is published that does not support a cherished tenet of lactivism, such as the belief that breastfeeding raises IQ, professional breastfeeding advocates immediately try to tear it apart. 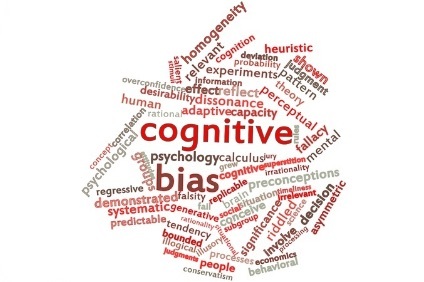 How can we avoid falling prey to these cognitive biases? The most important corrective to cognitive biases is recognizing that they exist. We must recognize that most scientists who do breastfeeding research believe that breastfeeding must be superior. They often fail to consider alternative explanations for their findings, but we don’t have to fall into the same trap. The first question to ask of any breastfeeding study is whether it accounted for confounding variables. If it didn’t, then the results are meaningless. Second, we must analyze the data in the study ourselves to see if it justifies the conclusions. We need to ask whether the authors’ conclusions relate to the subject they intended to investigate or are just a random finding. For example, researchers may set out to determine if there is a difference in IQ between breastfed and non-breastfed babies, fail to find one and then write a paper about a random difference in fine motor coordination. That suggests p hacking, desperately searching for any difference, not the one that was supposed to be under study. Finally, we must pay close attention to the results of studies that support our pre-existing biases. We must analyze them with the exact same rigor that we would bring to analyzing studies that don’t support what we believe. Contemporary breastfeeding researchers often fool themselves into finding “benefits” of breastfeeding but that doesn’t mean that we have to let them fool us, too. OT: Report from Miss Impatience, aka Baby Detached. My mom was just there to visit her. By everyone’s accounts, Miss Impatience is a great nurser, a great sleeper (yesterday, her mom complained that she’d just refused to sleep from 10 till 13. I was like, at night? No, no, she replied, a.m. And then I was all, well, it’s her working time! She’s been spoiling you by being such an obedient sleeper. ), a terrible crier (seriously, she didn’t cry ONCE through my phone marathons with her mom)… Tell me again, how is her life fucked over by the emergency C-section that gave it to her? Life, I mean. When the placenta started detaching. fabulous article! I always appreciate pieces that help explain research-related pitfalls and shed light on the ways that statistics can be used to manipulate the unsuspecting–and how other groups of unsuspectings even fool themselves, best intentions aside…. Here’s an example of a silly breastfeeding study with a silly conclusion that was published by the AAP and funded by the CDC, who really should know better–. It says that breastfeeding can make children eat healthier foods when they are 6 years old—-Really??? What children are choosing their diets at 6 years old?? Here’s a thought experiment: if the government, the CDC, WHO, and the AAP all strongly recommended that babies should wear purple pajamas only because due to the magic sparkles of purple dye it makes children smarter, healthier, and happier, in 10 years would the children who wore purple pajamas as babies be smarter, healthier, and happier? I’m inclined to guess they would because the type of parent who has the resources and inclination to follow this recommendation would be better educated, wealthier, and inclined to follow other health advice. Exclusive breastfeeding is a difficult hoop to jump through. It should come as no surprise that those who are able to do it have good outcomes. Have you ever dealt with a picky eater? Good point! —–My sister had one of those (breastfed, no less). Lived on about 7 different foods for about 12 years. She called me when he ate a green bean, elated!! He absolutely refused to eat quite a few foods—-. But, overall I think the food choices available to breastfed children (from a higher socioeconomic situation) will be a little healthier from the bottle fed group. Good point!!! My sister had one of those (breastfed, no less) –Lived on about 6 foods for 12 years! I was breastfed into toddlerhood, unusual in working class English families in the 80s, and was an absolute nightmare of a picky eater. Yes and no, a child of broke parent who doesn’t have time to cook quality food or money to buy it isn’t going to eat a good diet no matter how picky they are. Maybe. I mean, if you look at the majority of kids in my area who were breastfed a long time, their moms are the upper middle class white women shopping at Whole Foods and the other expensive grocery stores. They are choosing gluten free snacks and organic everything and don’t allow their kids sugar. They get kale smoothies and lectures about how good food gives them energy. They don’t get regular birthday cakes or fast food ever. It’s the attitude and philosophy of these women that keeps their children from soda, not the fact that they breast fed. If children grow up in a home without soda, they are less likely to develop a taste for it. That is true. I was raised by the “sugar is evil parents” and I didn’t like chocolate or soda at all until I was in my 20’s (husband loves chocolate and I got used to it). I grew up in a no-sugar household and today have a huge sweet tooth. My husband grew up in a household without food rules or restrictions and he has the least interest in sweet foods of any human I know. Go figure. That’s how it appears with our kids vs. other kids. We don’t really restrict their food options (except I won’t cook two meals) and they just don’t care about junk food. They like it, but given a buffet table at a party, they’re the kids eating all the fruit and only a few bits of junk food. My parents weren’t sugar is evil, as much as they were “we don’t want to buy you kids soda” types. In hindsight it worked well. Citation? Because I hear variations of this claim all the time and yet I’ve never seen proof. Needing to develop at taste for something bitter (e.g. coffee) I can understand, but you don’t need to learn to like sweetness. Humans are born liking sweetness. As a child I didn’t like soda, the carbonation felt harsh on my throat, because I rarely drank it. I’d prefer juice or chocolate milk (not that those are much better options). But that citation only shows that parents can reduce their kids’ current consumption of soda by not allowing them to have soda (duh). It says nothing about whether they like soda or want soda, and nothing about long term tastes or actions. I couldn’t find the original article I had read, so I was trying to grab what looked closest, (unfortunately I didn’t do a good job of double checking). I mean, I guess it could be for factors beyond children not having a taste for it, but adolescents tend to have more control over their diet than children (they tend to have spending money and unsupervised time and it’s not like soda is hard to find), but it’s never explicitly said it’s because they don’t have as much of a taste for less healthy foods. So this article looks at kids who were not allowed soda under age 5 and finds that they drink less soda from ages 5-15 than those kids who were given soda. Unfortunately, this 5-15 age group is still largely under parental influence. Children this age don’t have jobs or transportation. Their parents are still setting the rules. Sure, a child could sneak out and buy soda with allowance money or drink soda at a sleepover etc, but this child is still going to consume less soda because the parents won’t buy it. This still says nothing about long term tastes or even long term patterns. It’s no surprise to me that kids who are raised in health conscious homes go on to display more health conscious behavior. But I have never seen evidence that the mechanism is a change in *taste*. Anecdata, but DH is the same way. He grew up with soda being an only-special-occasion thing, and never grew to like the feeling of carbonation in his mouth, so he never drinks the stuff unless he’s feeling really sick. That worked for me. I grew up soda-free, and I drink iced tea (unsweetened). But the fact that there was never soda in my house for the first 8 years of my younger kid’s life has not prevented him from ordering root beer or orange soda every time we go out to eat. This is one of those blanket statements that sounds good until you take into account reality. I think that “less likely” means there’s still a chance. I too would like to see data. I doubt that my children are outliers. These guys deliberately set up a crap study, to show 1)many of the issues raised in the Nature article and 2)how bad science journalism is. They p-hacked, ignored confounding factors/small sample size and got the paper published via unscrupulous methods. I think that could/should be another way to avoid falling prey to the various biases—if science journalists could or would really critically review the science they are reporting, they might catch a lot of it and call the scientists out on it. Also, the shady organizations that will accept any paper for $ and not bother reviewing it are part of the problem. The myths about breastfeeding are muddying the debate over Florida’s SB-250 Family Law Bill. Myths being tossed around as Gospel are that breastfeeding of the newborn creates “attachment behaviors” and is necessary for the mother to bond to her child. I have been recommending where I can that people take a look at the book “Understanding Attachment” by Jean Mercer, a professor emerita in child development. It’s amazing how little today’s “attachment parenting” culture has in common with actual attachment theory. I think Winnicott’s concept of the “Good-Enough Mother” is long overdue for a comeback. So…I am not attached to my two adopted children because I didn’t breastfeed them? I’ll let them know when they insist on both sitting right against Mommy during Friday movie night tonight. And they were adopted as elementary aged kids and abused and came to us with zero trust in any adult. I’ll let my daughter know she should stop preferring to play with her dad, and certainly stop preferring grandma over either of us. I may not have breastfed her much, but they didn’t at all! My kid’s favorite person is my brother. He definitely did not breastfeed nor is he around all that much. You know why they love him the most? He will play one on one with them for hours. The rest of us have a much shorter amount of time that we can sit and play with them without stabbing our eyeballs out. Same here, my dd prefers grandma because they are exactly alike and my son loves my dad (who will play for hours and doesn’t mind reading the trucks and things that go pop up book a million times). Sorry, that snarkiness was towards the state of Flordia, not the OP. Ugh, I hate the myth that breastfeeding promotes “attachment.” Apparently formula-feeding parents just toss a bottle in the crib and walk out? OT: my new baby is 1 week old and doing great! I posted before about due date/gdm concerns. He came at 40 and 1 baSed on 6 week Sono, but I ConVinced my provider to start postdates testing half a week prior, to keep an eye on him since the hospital was questioning my dates. Never ended up w GDM diagnosis, but followed the diet from previous gdm pregnancy pretty closely, doing fingersticks occ, and he was born at 8lbs, 11oz, so im still suspicious that we missed it, somehow. (my daughter was only 6lb 15. New son does have a 99th percentile (!) HC, so maybe he’s just a big baby? ) anyway, wanted to say thanks for reassurance I got here when different providers had conflicting advice. On another note, I’m covered armpits to ankles in PUPPPs that appeared the day before he was born – getting conflicting info on that too: any idea when I can exPect it to start clearing up? Any breastFeeding friendly treatment options? Congrats on your new baby! I’m sorry, I have no information about PUPPS. I had PUPPP! Mine went away within 24 hours of my dd’s birth. Have they offered any steroids? Granted, I don’t know if you’re breastfeeding, and if steroids are contraindicated, but that was the best treatment when it happened to me five years ago. Of course, I was using obtuse midwives who refused to prescribe it, and instead told me to order some lotion off the Internet – which cost $35 and took a week to get there, and then only took the edge off. Steroids would have been free or very cheap, same-day, and would not have harmed…yet another reason I embraced medical tech in my second pregnancy! My SIL’s first baby was a few ounces short of 11 pounds. Her second baby was 7 and a half. No GDM, just a familial history of big male babies. His father was 5.5 pounds at 6 weeks early (I was under 6.5 pounds and full term), and his grandfather was nearly 13 pounds in the early 40s in a rural Eastern European country suffering from food issues thanks to the Nazis. From a 4’9″ woman, no less. You can definitely have widely different baby sizes with no diabetes. Oh my god, that poor little 4’9″ woman. Ouch. She couldn’t sleep lying down after she hit 4 months. She couldn’t breathe. So for the rest of her pregnancy she slept sitting upright. How she managed a vaginal birth with no painkillers, I have no clue. No, as a small woman who had big babies, I can say with confidence it is nothing at all like that. If only giving birth hurt so little! Yes that’s true, but that doesn’t mean that a wide variation in size is normal. For example when a woman has had large babies and then has a normal sized or smallish one without doing anything different, I would worry about the placenta or other causes of restricted growth. Or if a woman has always had small babies and then has a macrosomic one without doing anything different such as having a much larger weight gain, then yes I would wonder if she had GDM that was missed. Of course. I was just saying that it’s within the realm of possibilities to be normal. My grandmother’s other babies were a normal weight too, both were right around 7 pounds, maybe a bit below that. My brother was premature because the doctors felt that my mother’s uterus could only hold a baby that was of a certain length. AT 6 weeks early my brother was 19.5″ long and I was full term, a little bit over actually, and 19.5″ as well, and breech up until the day before birth. None of these women had any other symptoms of problems that could be a cause of such a big baby. My mother actually left the hospital at 3 pounds over her pre-pregnancy weight, so she was 103 when she got pregnant and 106 when she left. Funny story: she obviously wasn’t prepared with a bag yet when she went into labor. She asked my father to bring her clothing so she could have something to wear when she went home. So he brought one of his favorite outfits of hers…hot pants. Yep, he brought a woman who just gave birth her pre-pregnancy hot pants to wear home from the hospital. Even though she was just a little bit heavier, she still had post pregnancy changes and a post pregnancy belly. She had no idea how she managed to squeeze into those things but she did. My point is that it isn’t normal when a woman goes from having an 11 pound first baby to having a 7.5 pound second baby and shouldn’t be dismissed with “big male babies run in the family”. Male babies on average are only a few grams larger then female babies, not 3.5 pounds larger. I was just giving anecdotal information, not a scientific paper. And it obviously can be normal, though not typical. It’s happened in two generations of my family and it probably would have been in a third if it weren’t for the premie. Oh for sure it can happen. And even all the women and babies involved can survive. My point is that it’s *not normal*. It’s high risk. It shows something went wrong. It’s important to acknowledge that, because if you don’t, your anecdote seems like a good argument to ignore high risk. When one term baby weighs 11 pounds (or 13 pounds!) and the next weighs 7ish, something went wrong. With the most recent set of babies, nothing was wrong with the baby being big. It did end up being a c-section because not only was the baby big, but breech and a first baby to boot. But there was otherwise nothing wrong with either pregnancy. She was tested for gestational diabetes and tracked blood sugar anyway for peace of mind. Can you explain what went wrong, or rather, what could have gone wrong to create the disparity that makes this situation so bad? There was OB care from the start in both pregnancies. A macrosomic baby by definition is not normal. Sometimes the cause is determined, sometimes the cause could have been determined with more testing, sometimes the cause could not have been determined with any of the tests we currently have but it’s still abnormal. Macrosomia is high risk. A macrosomic breech baby to a first time mom is at very high risk of death if born vaginally. All ended well for this baby due to high tech OB intervention (C-section). But that doesn’t make it “normal”. The mom will be regarded (rightly) as high risk for all subsequent pregnancies. I think that all scientists, if they were honest with themselves, would have to admit to at least a tendency toward all of these fallacies. It’s hard to give up a favored hypothesis. I’ve had to do it. I was not happy. And we have to be honest, some outcomes are more interesting and press-worthy than others. Importantly, in some fields it is easier to “massage” the data than others. What many nonscientists fail to appreciate is how much the final paper can be a reflection of the contributions of a reviewer and the intervention of an editor. A reviewer that has a strong opinion of your work (not a bad thing, necessarily) and who has a different perspective, can essentially require the authors to check alternative explanations or pursue avenues that didn’t look particularly promising initially. This can either cause the paper to trend away from these fallacies, or actually cause the authors to have to develop weak associations that are really noise. I can often tell, when reading a paper, that certain comments or interpretations were inserted because of a reviewer. Thus, a reviewer’s biases will influence the final paper. In the case of medical observational data, that means that a paper that affirms a hypothesis that “everyone knows is true” will be subjected to little or no meaningful criticism. My feeling is that half the problem with published medical science–especially science that is not strictly empirical but is based on looking for associations in observational data– half the problem is the authors, and the other half is the reviewers. Since they’re more or less the same people, and since rigorous training in statistics for MDs is poor or nonexistent, change is slow and may never happen. In the aggregate, that means that the same paper gets published over and over again, leading to a situation where it looks like the literature shows a dramatic trend in one direction (“breastfeeding is very very important”), when in reality there are only a handful of papers that have rigorously tested that hypothesis. This may be an argument for publishing the reviewer’s comments anonymously with the paper. Some journals do this. Pros: people reading the final article will know whether the paper got a soft review, and that might make them more skeptical. Cons: it might inhibit reviewers from expressing strong criticisms, even anonymously. In small fields, you can sometimes tell who the “anonymous” reviewer is. Also con: I’ve had some pretty harsh reviews. I’m not sure I’d like that to be out there for all to see. We do this in the humanities, but the problem is that ours (academic research) is a small world. It’s not THAT hard to figure out the identity of your reviewer. Dr. Amy says personal bias, and I (mostly) agree, but the money factor can’t be denied. I have SO many science colleagues who are doing great research, are great teachers. And their tenure is being denied at the provost/university level because the grant money just.ain’t.there. The corporate model of education has infiltrated our research (both in the Humanities and the Sciences), and yeah, we cling to ideas that we can’t always prove–because our careers and livelihoods depend on it. A lot of it has to do with the inadequacies of the system in which we do science: we need to get funding, usually from outside agencies, such as the NIH, which is insanely competitive. To get funding we need to show that we’re “productive”, i.e. we have as many high profile publications as possible. And for that it is tempting to oversell your results. games”-like quest for research funding. I still don’t see why we need to keep trying to pin down benefits of breastfeeding. It’s a food option and often a good choice for babies. Babies have a right to food, parents have a right to choose breastfeeding (well it should be a right for a woman to choose to try breastfeeding). Instead of more and more breastfeeding “studies” with predetermined conclusions, I really think we need to be focussing on support. Not “support” from successful breastfeeders that like to lord it over mums that are struggling with breastfeeding in the name of “lactation support”. Real support, like the sort of financial support that gives new mothers real options instead of rushing back to work. Mental health support. Access to more options that help new parents find their feet and gain confidence instead of patronising them and manipulating their options to the “one true path” of motherhood. Hell, support in the form of breastfeeding studies geared towards assisting women who want to breastfeed but have trouble instead of another danged poorly-controlled study would be good. Who is at risk for low supply? Who is at risk for milk coming in late? What are appropriate feeding protocols to ensure that these women’s babies have enough to eat? Yeah that would mean looking at the actual reasons behind women stopping breastfeeding and the measurement of breastfeeding rates. Measurements such as the ridiculous handwringing over the lack of “exclusive” breastfeeding at 6 months when most paediatricians and medical professionals (in Australia at least) recommend starting solids within the age range of 4-6 months. And then look at the actual reasons, like returning to work, going onto medication, etc and finally identify women that did give up breastfeeding and try and see what’s going on. The issue I see is that it’s looking for a problem that largely has a solution already (formula)… But we can’t blame women for it or use it to justify more punitive measures against women (or cheaper hospital policies) so it doesn’t match the current culture and policies regarding the care of young infants.. The latest breastfeeding cudgel in the mothers’ groups I frequent is that formula is just FULL of SUGAR. Of course, so is breast milk and so is cows’ milk (albeit less so), but somehow this only comes up when mothers of one-year-olds are considering whether to switch from formula to cows’ milk, and never when breastfeeding women are considering what to do next. Oh no, not sugar! Those evil formula manufacturers want to turn our babies into sugar addicts! It’s not like sugar is necessary to sustain human life and functioning or anything! But researchers have analyzed the sugar content of human milk, and tried to match it as closely as possible in formula. There’s tons of lactose in human milk, and its used in regular, commercial formulas (there are lactose free versions of course). Exactly. That’s one of the reasons you’re not supposed to feed your under-one-year-old cow’s milk (or goat’s milk or whatever the latest trend is). The growing brains of human babies need sugar. And I’m very grateful for lactose-free versions, having had to give up breast feeding one of mine for that very reason. There is, as far as I know, no lactose-free breast milk. Eeeekkkk – SUGAR! It seeps into our BLOOD too – and then into every cell! Imagine that! At least the sleep deprivation and constant nursing are paying off. At six weeks my son is on the 50th centile for everything (up from 9th at birth) and has adorably chubby cheeks! He’s gained 2kgs since birth. I am eating avocados, eggs, chocolate and hummus like they’re going out of production just to keep my weight stable. Anyone got any quick and easy high protein, high fat snack ideas? Although really if your goal is to keep your weight up, I would scrap the idea that the food you eat needs to be high in protein. You are probably already getting plenty of protein. Just go for calories. Ice cream. Donuts. Whatever. I’m only asking for high protein, because I don’t have a particularly sweet tooth or a big appetite, and I’m not particularly fond of bread, cookies or crisps. I can get more calories in a smaller volume of foods I like with proteins and fats. I’m adding butter, milk and cheese to as many meals as I can, and I’m eating porridge for breakfast. When I’m not nursing/pregnant I basically eat one meal a day (dinner, which I cook) and drink coffee for breakfast and lunch. I don’t normally snack, and when I do it tends to be olives. I am not exactly a paragon of nutritional virtue at the best of times. I like how your mind works, KarenJJ. How do you feel about pasta or rice? Something you can put a high calorie sauce on? Smoothies? If you have one of those little “magic bullet” style blenders you can make individual servings of smoothie easily without having to get out the large blender. Milk/yogurt + frozen fruit is quick and you can add all sorts of things as desired. Tortilla roll ups – mix cream cheese and canned diced green chilies, spread on tortilla. Add a layer of thinly sliced meat and/or cheese. Roll up tortilla and slice into pinwheels. Keeps in refrigerator for several days. My n=1 as a fat person is if you are trying to keep weight on, don’t worry about protein so much as carbs+fat. High protein, high fat (and therefore low carb) is what I go to for losing weight because it’s harder for me to eat excess calories that way. Yes, I agree. I had gastric bypass 11 years ago and agree that keeping weight ON may not be the easiest on a high protein diet. Even with high fat…mostly those are GOOD fats (hummus, avocado)….Dr. Kitty, remember to keep throwing some crabs in, too. I think the tortilla roll up is really good. Also, I used to to microwave pepperoni and make pepperoni chips…like 10 seconds in the microwave. They are really tasty. CHEESE glorious CHEEEESE…. Any hard, pasteurized cheese (Swiss, cheddar, etc.) is great. It’s one of the easiest snacks to nosh when you’re busy doing something else–just chop off a piece and eat it–and in addition to protein and fat, it’s full of calcium, which both you and your son need. I’ve heard that babies will take all the calcium they need from you whether you have any to spare or not–that’s part of the reason some women have dental problems during or after pregnancy–so you’d best build up your reserves! If you want to get fancy you can have crackers, pretzels or chips and olives on the plate to complement your cheese. I also happen to like sliced apples with chunks of Swiss or Jarlsberg–YMMV. How about trail mix, i.e. mixed nuts (and some come with small chocolate chips or dried fruit) – you can snack on it between meals, it’s high calorie and healthy. He is not 6 weeks old already!?! You just had him…..
Really, no one else suggested this? It’s the only protein my daughter likes. Sadly, I had to give up all pig products when nursing, since whatever it was that got into my milk caused colic in every single one of my infants. I was underweight, too, and had enormous difficulty in maintaining even that low weight. It was only after I was diagnosed Cœliac that I managed to get up to a ‘normal’ BMI and could stop eating like a horse. I lived on nuts and whole milk when I was nursing. Mmmmmm. There’s an additional problem in p-hacking: If you make your data set large enough, you can get statistical significant results that don’t have a biological meaning. I picked up on a statistical difference that is simply background noise due to the fact that cows have spots rather than a sign of selection pressure against UV damage from southern sun while the cows are facing east to limit exposure to winds or any other alternate hypothesis I care to attach. Could you imagine if you wrote that paper, and someone approved it? Breastfeeding is mispelled at the beginning of paragraph 4.